The combination of yarns creates amazing texture contrast and visual interest for this easy modern crochet baby blanket pattern for beginners. 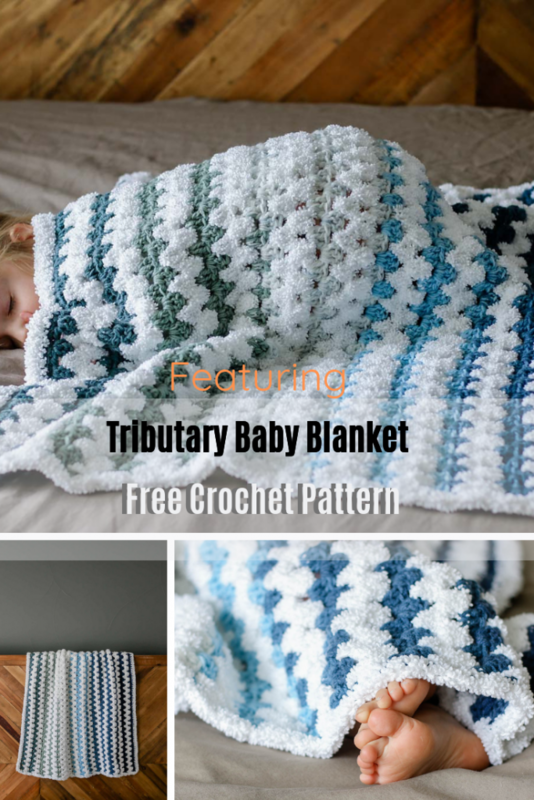 Tributary Baby Blanket by Jess Coppom is a fabulous free crochet pattern designed to create an extremely soft, machine washable and visually-stunning baby blanket. Skills necessary include double crochet and changing colors and this makes this pattern perfect for beginners. Super easy and quick to work up, this baby blanket makes a great last-minute baby shower gift or charity donation. Get the pattern: Easy Modern Crochet Baby Blanket Pattern For Beginners. Thanks to Jess Coppom for the article inspiration and featured image.